A letter with suspicious white powder has been sent to the New York City lawyer whose rant against Spanish speakers went viral. Police say Aaron Schlossberg and another person were exposed to the unknown substance at the lawyer's office in midtown Manhattan at about 4 p.m. Thursday. Police say the two were being evaluated. Last week, Schlossberg became incensed at hearing workers speak Spanish in a Manhattan restaurant. 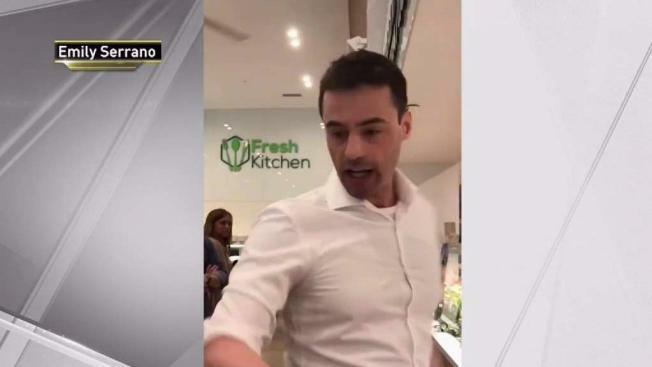 In the rant caught on video, he threatened to call Immigration and Customs Enforcement to have the workers kicked out of the country. Critics hired a mariachi band to play outside his apartment and demanded his disbarment. Schlossberg later apologized for the incident, saying it was "unacceptable."